The Haspel and Pompeo nominations must be defeated on the grounds of rejecting torture, rejecting Islamophobia and rejecting an aggressive stance toward war. The Senate is set to hold confirmation hearings this week on two nominees for high office who, if confirmed, will dramatically shift the balance of power in the Trump administration toward torture, Islamophobia and war. President Donald Trump’s choice of Gina Haspel for director of the CIA and Mike Pompeo for secretary of state are linked. The Senate has a responsibility to the country and fundamental values to reject these appointments. America’s claim to global leadership in human rights as well as our national security have already been compromised by torture authorized at the highest levels of the Bush-Cheney administration. My involvement in the anti-torture movement for 11 years has instilled in me a profound sense of loss, shared by many, about what torture has done to our country. I fear Haspel’s confirmation will further contribute to the irreparable harm of torture. Can anyone possibly think that the appointment of a CIA director who ran a secret prison where brutal torture was employed won’t be interpreted both globally and in the U.S. as a stamp of approval for torture? Haspel was chief of base, that is in the direct chain of command, at the “black site” during late 2002 when Abd al-Rahim al-Nashiri, accused of bombing the U.S.S. Cole, was tortured. 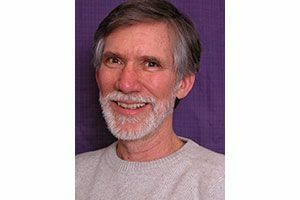 Robert Crawford is co-founder of the Washington State Religious Campaign Against Torture and professor emeritus, School of Interdisciplinary Arts and Sciences, University of Washington, Tacoma. Haspel’s appointment implies at minimum that participation in torture is no obstacle to high office. Domestically, it sends a message that so-called “enhanced interrogation” was both patriotic and legal, and that Haspel’s involvement in destroying videotape evidence was for the good of the country. It boosts Cheney’s “dark side” promoters in the ongoing struggle for American hearts and minds. The anti-torture movement resists that part of militarist ideology that says war can be waged without moral or legal limits. We should never forget that torture is a crime of war. A return to torture would be a moral and strategic calamity with both global and domestic consequences. I also oppose these appointments for what they suggest about the threat of war. Several commentators are referring to Trump’s new “war cabinet,” an assessment that Trump is moving the U.S. toward a military confrontation with Iran. Pompeo, new national security adviser John Bolton and Trump are on the same page about axing the Iran nuclear deal as part of a more aggressive stance toward Iran. Others, rightly, are also concerned about North Korea. The warning signs of another major Middle Eastern war are flashing red. Already, the U.S. is providing military assistance to Saudi Arabia’s war against the Houthi rebels in Yemen, a proxy war against Iran. Israel continues to threaten military action against Iran, and Iran has vowed to retaliate. War with Iran would be a disaster for all concerned and could easily spin out of control. Senate rejection of Pompeo would send a powerful message that the Trump-Bolton-Pompeo war agenda is not acceptable. Finally, war requires an enemy to hate and fear. Islamophobia is a dangerous movement gaining strength here and in Europe. Its hateful rhetoric imagines Muslims as an existential threat to Christians and “the West.” Pompeo has a disturbing record of Islamophobic views and acts. He was the recipient of an award from Act for America, the leading Islamophobic organization in the U.S., and a frequent guest on the radio program hosted by Frank Gaffney, a notorious Islamophobe. After the Boston marathon terrorist attack, Pompeo falsely accused U.S. Muslim leaders of remaining silent and then suggested that meant that they were “potentially complicit” in the bombing. Why aren’t senators and leaders from all sectors of American society speaking out? Of course, to do so would require an equal condemnation of Trump’s record as well. Millions of Muslims at home and abroad will hear the message. Have we not yet learned the lesson that racial or religious hostility fans violence and counter-violence? It is a recipe for endless war. 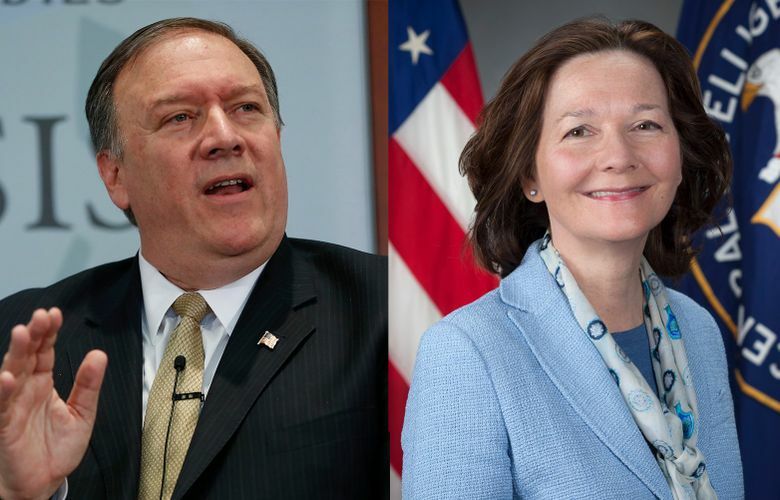 The Haspel and Pompeo nominations must be defeated on the interconnected grounds of rejecting torture, rejecting Islamophobia and rejecting aggressive war. Now is the time to stand for these fundamental values upon which the integrity, well-being and safety of the republic depend.